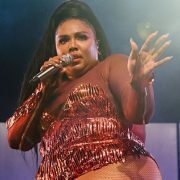 It looks like Lizzo is on a one-woman television tour. She should be, after all, with the impending arrival of her new album Cuz I Love You and tour on the horizon. 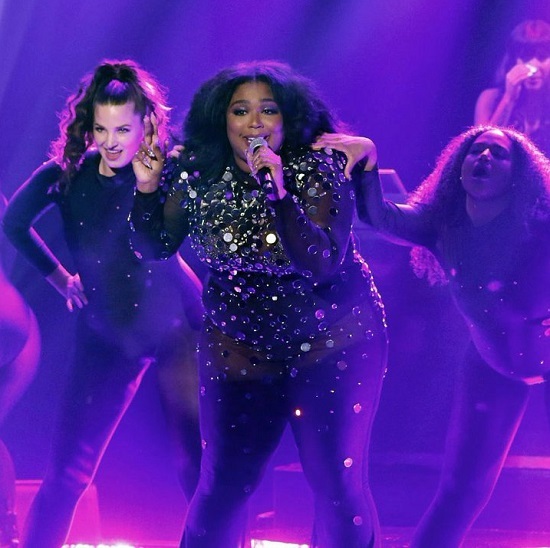 Having already given The Ellen Show a squeeze of her "Juice," she took the boastful track to the East Coast for a showing on The Tonight Show Starring Jimmy Fallon last night. 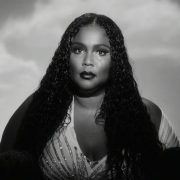 This time around, the curvy queen was flanked by dancers draped in black outfits while she donned a mirror-covered catsuit. There was no indication why she was sporting the getup outside of the reflective gear occasionally catching a random flicker or two of light. However, near the end of the set, the purpose was revealed. 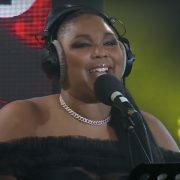 Lizzo stepped on top of a platform as stage lights were aimed in her direction. This caused a disco ball effect as light shot out all over the studio and brought all eyes to the singer's direction. Talk about stealing the spotlight. 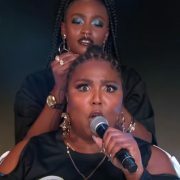 Of course, we already knew that Lizzo knows how to command our attention. 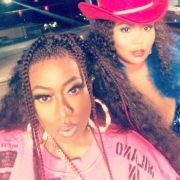 We fully expect her to when Cuz I Love You drops on April 19th and the subsequent tour begins on April 24th. Get yourselves prepared for her take over by watching her performance of "Juice" right here.